Keke Phofoolo was born in Pimville, SOWETO, 27 years ago. He had a passion to be in the military, but music took over that desire in 1994 when he was invited by Oupa Montshiwagae to join a music group called Zoë Gospel Singers as a backing vocalist, and as a result competed in Shell Road to Fame in Sun City, 1997, as a soloist. KEKE never limited himself. 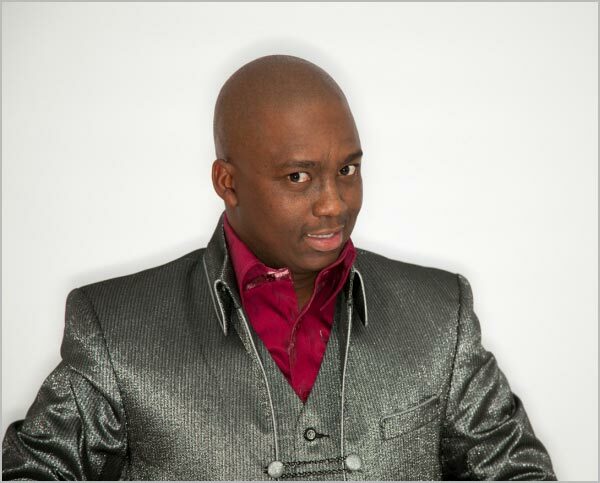 In 1998 he found a place in the kwaito industry with the group KOM-KOM. He then got the opportunity to go on tour with BENJAMIN DUBE in 1999, before joining JOYOUS CELEBRATION 5 in 2000 as one of the choir's lead singers. Performing the lead on the song JO KE MOHLOLO-HLOLO also gave him the opportunity to work with the male group REDEEMED. Keke also toured with jazz legends Bheki Mseleku and Winston "Mankunku" Ngozi. This led to a call from the Queen of Swaziland to run and produce a 'live' recording of REDEMPTION CHOIR 2001-2004, giving him the chance to produce more projects in the neighbouring country. An opportunity to perform in the hit show UMOJA was the break that he needed to expand his talent in the theatre before he decided to express what God had placed on his heart with his debut album RESTORATION. The success of Restoration paved the way for his second album REVIVAL, which was a 'live' DVD recording at the VAAL UNIVERSITY OF TECHNOLOGY. On REVIVAL, Keke's sensational offering, he stated that 'We all have the opportunity to have what we want, and what we need to revive our mindset. Emotions must be dealt with because we have our freedom and Africa has more than what it needs. We should come out of the beggar mentality. This is not the time to look back because if we do, we will not see tomorrow'. His third 'Live' project, which has also received a double platinum status, is LIVING TESTIMONY. Subsequently, Keke held another successful 'Live' DVD recording of HOLY OF HOLIES at the Lyric Theatre, Gold Reef City Casino. As an artist of note, besides his involvement with the Spirit of Praise Volumes 1 and 2, this local gospel music industry veteran and award-winning singer has recorded four 'Live' DVD albums with the latest called SPIRIT UNLIMITED. The highly-anticipated inspirational and edifying album was recorded in Soweto and is now available in music stores across the country. Keke is a presenter on e.tv's One Gospel, the father of two lovely boys, prophet and Senior Pastor of a fast-growing ministry, Shekinah Glory Worship Tabernacle. SPIRIT UNLIMITED is the first KEKE album to be distributed and part marketed by Revolver Records.